As far as twitter goes, Rock Lobster is a busy community. Every night I get numerous tweets and retweets from happy people raving about their recent experience. I must admit I was quite excited for a piece of the action. Walking through the door, I was looking for a place to happen and was greeted by three friendly, plaid wearing barkeeps who quickly sat me at the bar. Looking around, I felt like I was an extra in a Tragically Hip video. Nostalgic Canadian paraphernalia filled the walls and the menu followed suit, offering a near coast to coast menu. It only made sense to salute the flag and partake in the cross country adventure. Nothing signifies the start a Canadian road trip like a classic caesar. It followed all the rules including celery and steak spice with the luxury of half a lobster tail for 12 bucks. It wasn’t bland nor watery and didn’t require a fire in the hole warning either. It was yummy and spicy and good. The tail didn’t hurt either. Ironically, the best item on the menu wasn’t lobster. A trip over the hundredth meridian offered a grilled flank steak served with homemade hickory sticks, a soft yolked duck egg and a side of homemade tangy dipping sauce for $14. The steak was grilled to absolute perfection. The egg was served with a shiny, runny yellow which would trickle down onto the crispy and smoky version of delicious of the Canadian classic snack. Despite the richness of each of the ingredients it was far from a greasy jungle; I would describe it more as hearty small plate presented with skill and determination….and grace, too. I stayed out west for my second drink of the night. 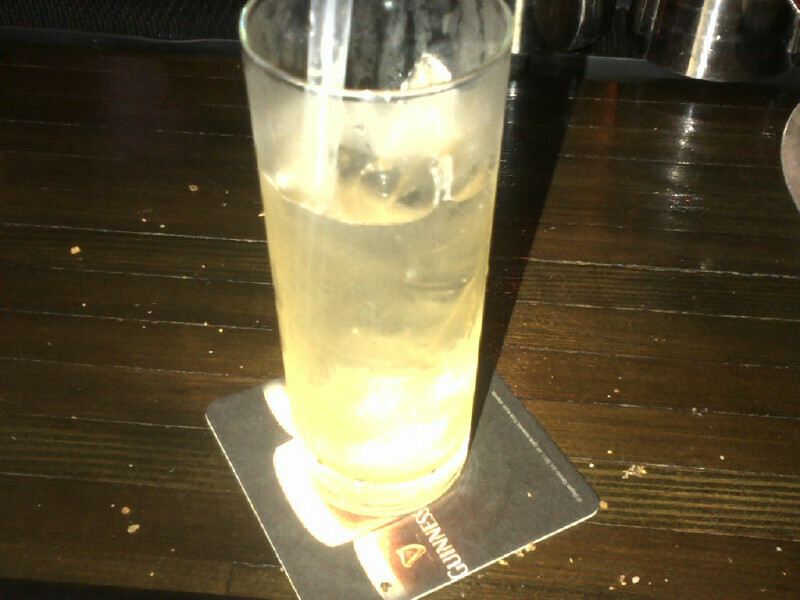 I ordered an “Iginla Fizz”, a $10 modern spin on a rye and ginger. It was simple but delicious. Maybe it was the drink itself or the fact that I’ve always felt so hard done by as a Calgary fan and drinking a cocktail named after the Flames captain in Leafs nation was final and just retribution for the Gary Leeman/Doug Gilmour trade. One of the showcases of Rock Lobster is a cooler displaying the restaurant’s namesake as well as other things born in the water. 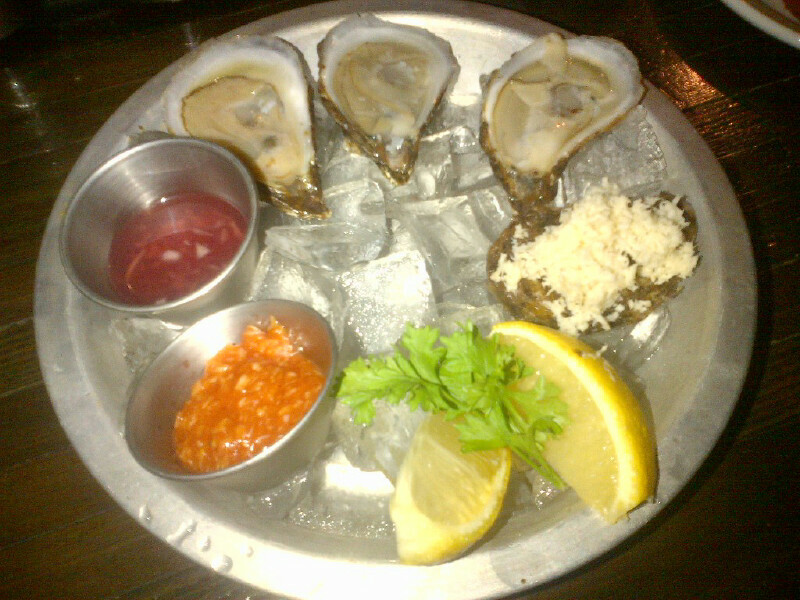 The fresh PEI malpeque oysters drew my attention, especially at a price of two and a quarter each. One of the bartenders pulled three out, shucked them and served with all the fixings including fresh horseradish she ground with a box grater right at the bar. 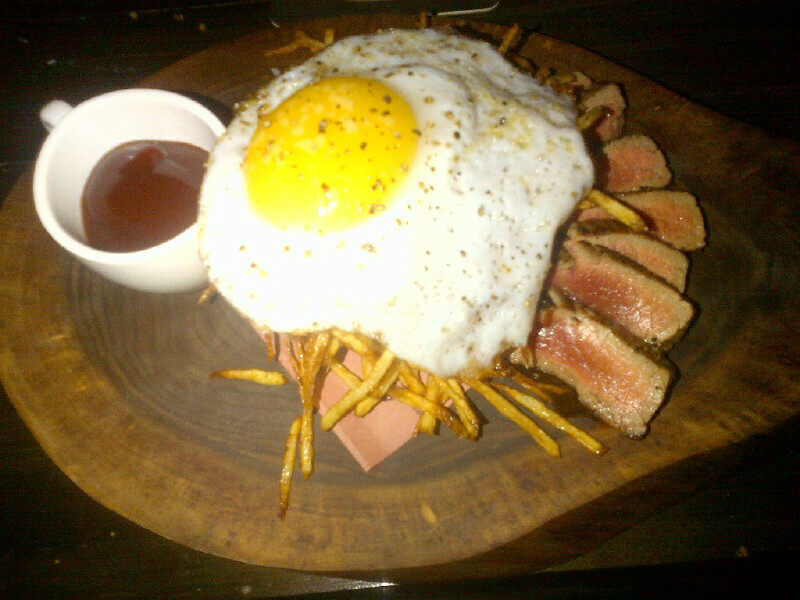 It was a great offering other than the mignonette sauce, which I found a little off. She didn’t know for sure what she regularly shucks in a shift but figured she may do a 20o plus on a good night. I was told the lobster roll is the mainstay of the restaurant concept itself. It had all the fireworks of the classic east coast sandwich. 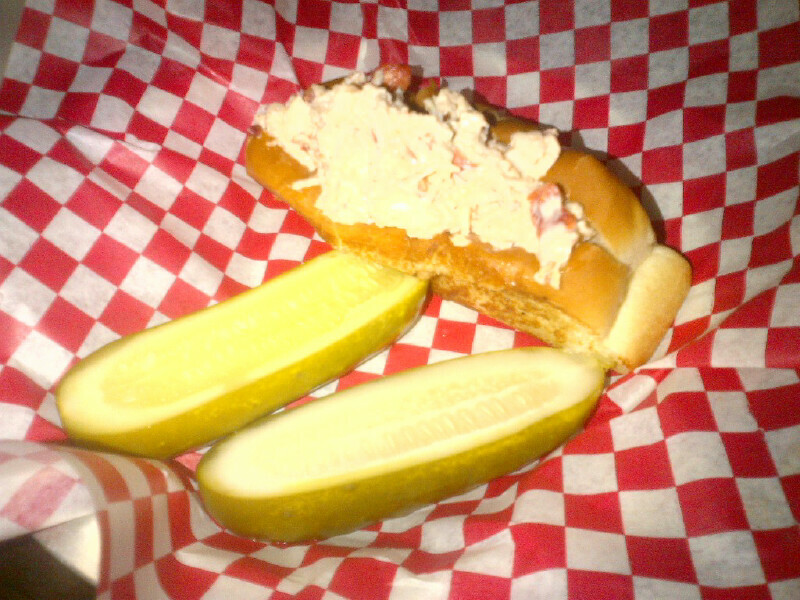 Chunks of lobster were coated in a rich but not overbearing mayo and served on a fresh and lightly toasted roll. Normally served with fries and a McClure’s pickle, I asked if they could sub the fries and they gladly doubled the pickle. This may not sound that exciting, but these pickles have been considered some of the best in the business for a long time running. 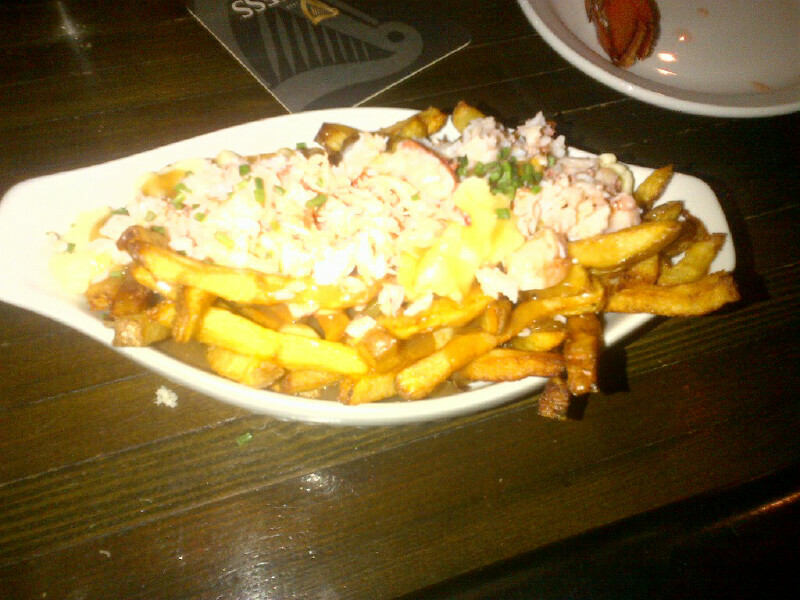 Rock Lobster’s Quebec contribution was a lobster poutine. The fresh fries hit the mark, the cheese curds were authentic but the bisque gravy fell a bit short. Although full of flavour, the bisque was a little scarce and served luke warm which prevented the heart of the melt, a bit of a cardinal sin in the poutine world. I know it didn’t blow my mind but I couldn’t figure out if it left me yawning or snarling. I have a confession. One of the twitter feeds bragged about diners enjoying whale tails which left me wondering if this was a taboo spin on the Parkdale offal movement. 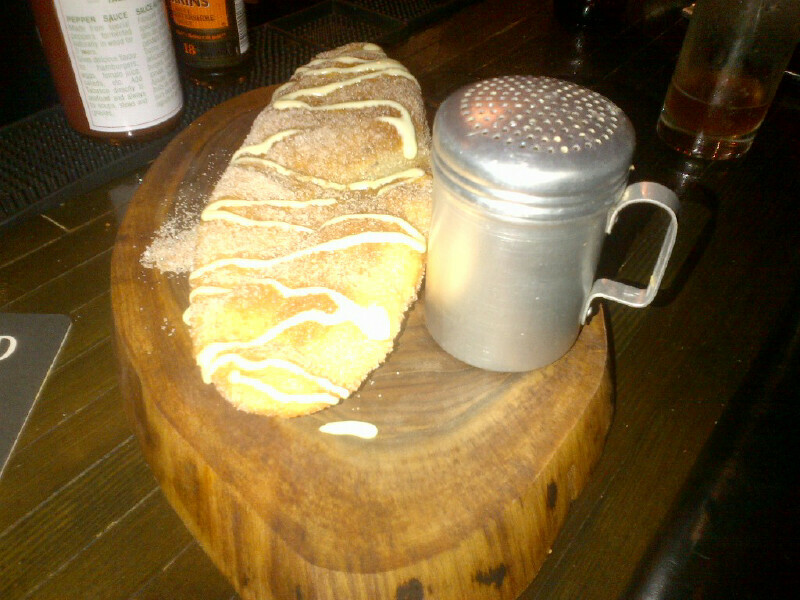 Much to my relief, the “whale tail” was instead a spin on the classic Canadian beaver tail pastry. It was a crispy and nicely presented, coated in cinnamon sugar and served on a chuck of tree with a shaker of maple sugar. It came with a few irrelevant trickles of creme anglaise. It was good enough but wasn’t too hard puttin’ down. 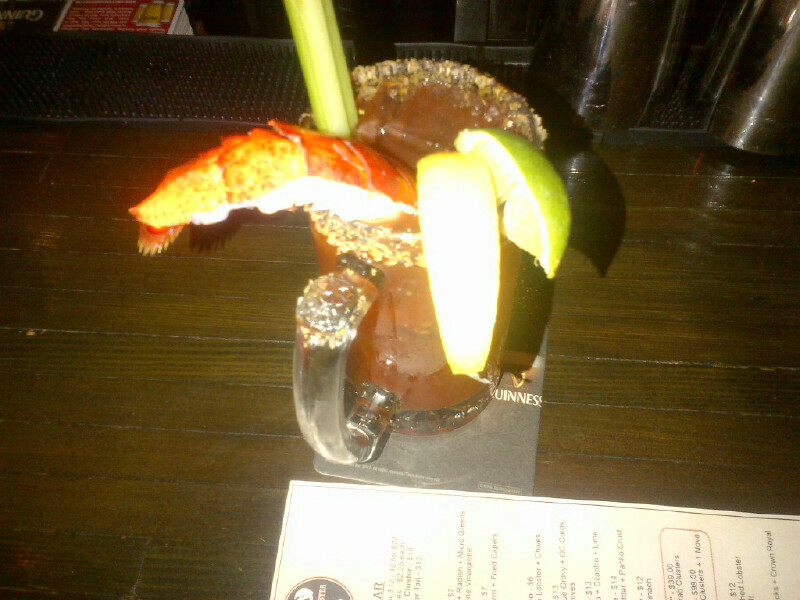 Rock Lobster has rapidly become a lionized addition to the Ossington strip. The service was friendly, attentive and didn’t take forever. I can’t explain the exact feeling, but it has a modern spirit that so many foodies crave as much as the grub itself. The ironic coupling of extensive twitter hype with a certain degree of secrecy, the dark canuck ambiance and most importantly the solid execution of a cross-section of Canadian classics from hickory sticks to lobster tails define this eatery as a pelagic pinnacle as opposed to a nautical disaster.